I received the following question from a fellow small groups director. It’s a great question and one most small group leaders have dealt with or will deal with. How do you handle special needs or even just very socially awkward (haven’t necessarily been diagnosed) adults in groups? Our young adults group is doing great, but recently they’ve had many requests for adults to join their group that either have Down Syndrome, or Asperger’s, or are deaf, etc. Their needs are great and very different from those of the typical 18-30 year old. They feel the need to be inclusive, but also have noticed that this makes it difficult for others, especially the new people coming, to check out the group. Any thoughts? This is a tough one and one we’ve dealt with on numerous occasions, at least to some extent. First, let’s identify some important values. Our strategy must flow from biblical values. We believe everyone has a right to get connected in authentic community. God is the one who arranges all the parts of the body, every one of them, just as he wants them to be (1 Cor. 12:18). Everybody is different. In his book, Everybody’s Normal Till You Get to Know Them, John Ortberg talks about a deep theological truth: everybody’s weird! While the above are true, some people need something other than a church small group to help them connect and grow. We try to look at what that person needs first. We also always try to look at what’s best for the group over what’s best for any one individual. Then there’s reality! Of course, we have to deal with the reality as much as the values. And, as you can see, some of these values conflict with one another (or seem to). Pray. Meet with the leaders and pray together over this. What is the Holy Spirit up to? Why are these people with special needs showing up? Does God have something very unique and powerful planned for and through this group? You don’t want to miss out on a movement of God because there seem to be challenges. As humans we can make our plans, but what we really want is for God’s purpose to prevail (Proverbs 19:21)! How God answers your prayer will determine the rest of your steps. Talk with the leader(s) of the group about values 1-3. Ask them how they can develop this kind of authentic, accepting community. This is challenging, but acceptance is the message of the gospel, and how Jesus treated people. Consider all your options. Are there groups within or outside your church that would provide better options for the individuals with special needs? Work with the leaders to determine if this group is really the best place for each of the participants. If another option would be better for him or her, I try to coach the leader(s) to refer. If the leader(s) need my help, I’ll get involved, but that’s not my initial tactic. At Northeast, we have a good counseling center, and perhaps a counseling group would be a better fit and would better meet the needs of some people. I would arm every leader, especially those who have challenging people in their groups, with Pat Sikora’s book, Why Didn’t You Warn Me: How to Deal with Challenging Group Members. It’s a very helpful resource for just about every challenge you can imagine. I bought a bunch and I hand them out to leaders all the time. The book is available on Standard Publishing’s web site here. The leaders may have a tough decision to make. Some new people may not continue because a number of special needs people are in the group. That’s too bad, but probably a reality. Is this a “What would Jesus do” kind of question? I think I know what Jesus would do. Previous article Why Didn’t You Warn Me? Next article Top 10 Ways to Take Your Small Group Deeper! Mike, great article and I love your ideas. This is indeed one of the challenges of leading groups these days. In addition to your thoughts, may I add a few of my own? –How the leaders handle this problem depends largely on the type of groups they are leading. Is this a large group ministry like a Sunday school class or youth group, or are these small, closed groups. Your response must fit with the type of group. The more open the group, the more important it is to be inclusive. –Since the people seeking admission to the group (or their caregivers) seem to be aware that theirs is an out-of-the-norm request, I think it would be appropriate to set some limits or restrictions on their participation. How about recruiting some of your caring people as "sherpas?" Some of these challenging people are already used to having an aide in school to help them mainstream. This would be the same idea. Work out a buddy system so the challenging person has a more experienced person to show him the ropes. –Consider creating a group for these challenging people as a precursor to mainstreaming them. See my article, "The Challenge of Challenging People" at http://whydidntyouwarnme.com/resources/. 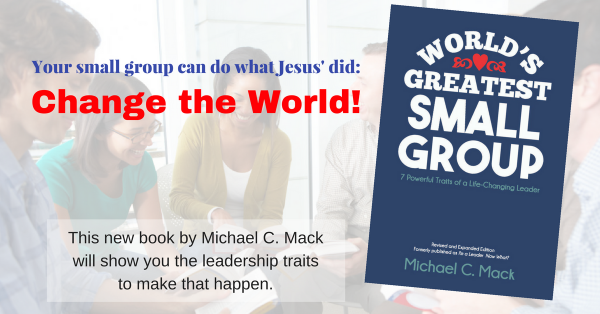 It discusses a type of group I've led specifically to coach challenging folks how to be successful group members. Hope this helps. Thanks for being a caring and sensitive leader! Thanks, Pat! I especially like the idea about starting a group as a precursor to mainstreaming them in other groups. I wish I would have thought of that! That's why you're the expert on these kinds of issues!